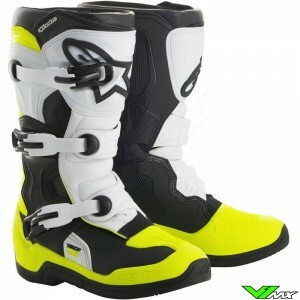 The Alpinestars tech 3s boots are perfect for youth riders who are looking for an affordable motocross boots that offers high performance and protection. These off-road boots by Alpinestars are made specifically for children. Because the feet of youth riders will grow, an addition insole will be provided with certain sizes of the Tech 3s motocross boots (EURO 28-37, US 10-13 and US 1-4). 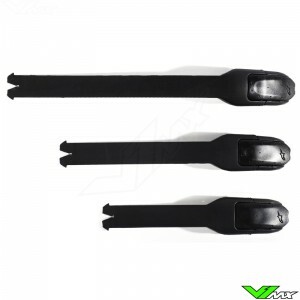 This insole is designed to be one size smaller than the actual size of the boots. The insole of the Alpinestars tech 3s boots offers an increased lifetime, when the feet of the youth rider have outgrown the extra insole it can be removed and the standard insole can be used. Besides being very cost-effective the Alpinestars tech 3s also offers great protection and support due to the high quality materials and expertise of Alpinestars. 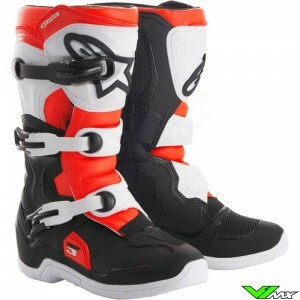 Also, the youth motocross boot is designed with a 3-stage flex zone for maximum comfort, control and support. 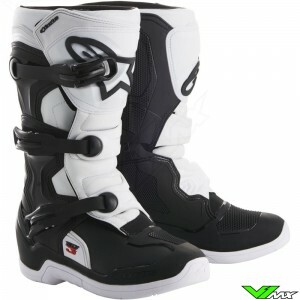 The more advanced boots for children is the Alpinestars tech 6s.